Welcome to “My Best Birthday” ! 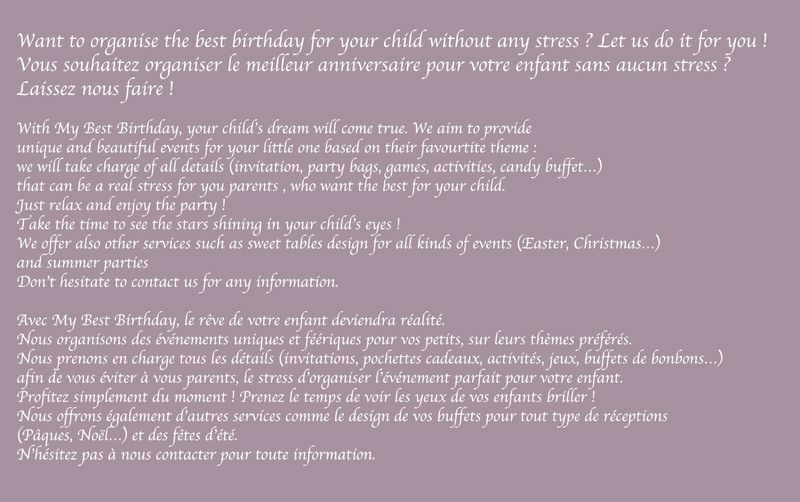 Want to organise the best birthday for your child without any stress? LET US DO IT FOR YOU ! With “My Best Birthday”, your child’s dream will come true. 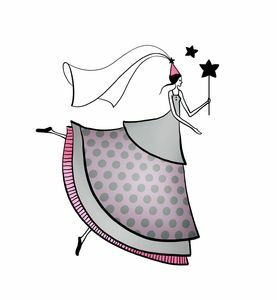 We aim to provide unique and beautiful events for your little ones based on their favourite theme : we will take charge of all details (invitation, party bags, games, activities, candy buffet…) that can be a real stress for you, parents, who want the best for your child ! Just relax and enjoy the party ! Take the time to see the stars shining in your child’s eyes ! We also offer other services such as sweet table design for all kinds of events (Christmas, Easter…) and also summer parties.